Imagine the mighty Winx charging to the lead halfway down the straight in the Longines Queen Elizabeth Stakes and racing away for an easy win. They will at least seem familiar to many sports fans. Absolute sports nuts will know exactly where they come from. This was how Bruce McAvaney described the final stages of Cathy Freeman’s famous victory in his call of the 400-metre final at the Sydney Olympics in 2000. Except for the last three words, which formed the brilliant postscript provided by his co-commentator Raelene Boyle. Different sport, different circumstances, different scenario, but if Winx wins as everyone expects at Randwick on Saturday then that same description of the finish would again fit perfectly. And what that reinforces is the belief we’re dealing with as big an occasion as it gets in Australian sport here. Up there with Freeman’s moment and the great exploits of our other heroes such as Don Bradman, Rod Laver, Dawn Fraser and – speaking four-legged animals again – Phar Lap. Cathy carried the weight of an entire nation’s expectations on her shoulders at a home Olympics and still managed to win. She was under enormous pressure to get the job done and the result must have come as a huge relief to her. Winx is smart. The video insights into her personality and behaviour that come out of the Chris Waller stable via social media prove that. But unless she’s even smarter than we already knew, she’s not going to realise there’s a nation desperately willing her on just like it was with Freeman. It wouldn’t change anyone’s opinion of Winx if she didn’t win, but it will be a huge relief to everyone if she does because we love to see our great champions exit in style and attempts to do that in planned farewell races have more often been unsuccessful. Think Gunsynd (1973), Octagonal (1997) and Lohnro (2004) in the Queen Elizabeth alone. Winx pretty much can’t lose, we all agree. She has won 32 races in a row. The horses in this race that she has come up against before, she has dominated. She’s being quoted at the minuscule sort of odds that only horses regarded as living, breathing certainties are quoted at. She’s regarded as the best horse in the world, for God’s sake. But it’s easy for all of us to look at it that way and declare the event over before it starts. 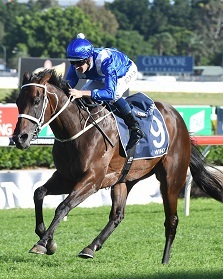 Winx’s trainer, Chris Waller, and her jockey, Hugh Bowman, have still got to view it as a race and make sure they do everything in their power to get the process right. “We’re going in as confident as ever, but we’re going in with the respect for the opposition that they deserve,” Bowman said. Anyone who has ever heard Bowman and Waller talk about a race Winx is scheduled to contest will know the jockey’s conclusion ahead of her farewell race could’ve easily come from the trainer. They will be on the same page as always. Neither man was interested in encouraging suggestions Bowman should open the throttle in the closing stages and push Winx right out to see just how far she can win by. That would be getting ahead of yourself.